*Please Note: It is a violation of Federal Law to use this product in a manner inconsistent with its labeling. 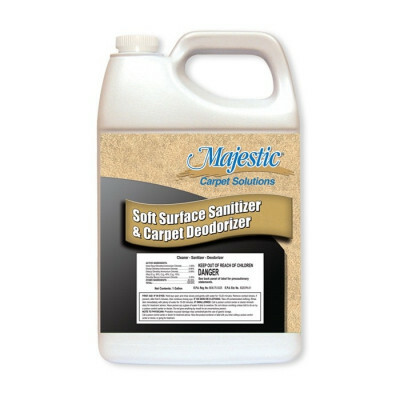 Misco Majestic Soft Surface Sanitizer & Carpet Deodorizer is especially effective at eliminating odors on porous surfaces. A great product for fire restoration and flood remediation specialists. It comes packaged 2 gallons per case for easy shipping, should be mixed 2 ounces of solution per gallon of water. This product deodorizes by killing microorganisms that cause offensive odors. It leaves behind a clean fresh/floral scent. A proven effective soft surface sanitizer that only needs 5 minutes of dwell time to be effective. Completely removes odors caused by flooding and smoke from fires. This product is effective at eliminating odors on porous surfaces such as upholstery, drapes, carpets, bedding, shower curtains, mattresses and non-porous surfaces such as walls and floors. Also works against orders from vomit, urine, feces, mildew, and sewage. A great product for use in industrial and institutional areas of a residence, motels, hotels, chain stores, restaurants, nursing homes, schools and hospitals. We definitely recommend vacuuming before using this product. You will then dispense with a pump up chemical sprayer that can provide a thorough coat to all parts of the carpeting. There is no need to overwet, but you do want to put down a solid coat. Carpeting must remain wet for 5 minutes to achieve sanitation, then recover with a carpet extractor. This product can be found in our carpet pre-spray chemicals category. For another unique Misco carpet cleaning solution, please take a look at our carpet rinse & neutralizer, which can be found in our post-extraction rinse agents category. Mix 2 ounce of solution per gallon of water for use in any portable extractor or pump up sprayer. Do not mix this product with other carpet cleaning chemicals. 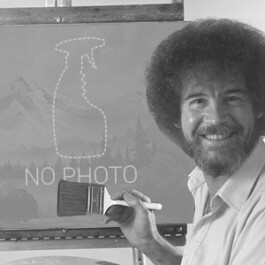 Hold your wand or spray bottle 6" to 8" away from surface & spray down a thorough coat until carpet is wet. Fabric surface or carpeting must remain wet for 5 minutes to be effective. Recover the solution with a wand from one of our box extractors, or with one of our carpet scrubbers. Allow fabric or carpeting to thoroughly dry before inspecting. **Heavily soiled areas must be cleaned prior to sanitizing. Mix 2 - 4 oz. per gallon of water eliminates odors associated with urine, vomit, smoke & mildew. Reapply after cleaning for freshening effects. Mix 8 - 12 oz. per gallon of water or desired concentration for urine, feces & vomit in carpet or upholstery. Clean prior to application then spray onto affected areas. Test hidden area for colorfastness. Allow 10 minutes contact time for maximum effectiveness. Blot clean with a white cloth. Extract the areas with a carpet spotter or extractor. **Also effective on pet bedding & litter boxes. Mix 4 - 8 oz. per gallon of water or desired concentration. Spray over effective areas before & after cleaning & extraction. Use proper ventilation, open windows & run fans to speed up dry times. Customers who were interested in the Majestic® Soft Surface Sanitizer & Carpet Deodorizer - 2 Gallons were also interested in the following items. 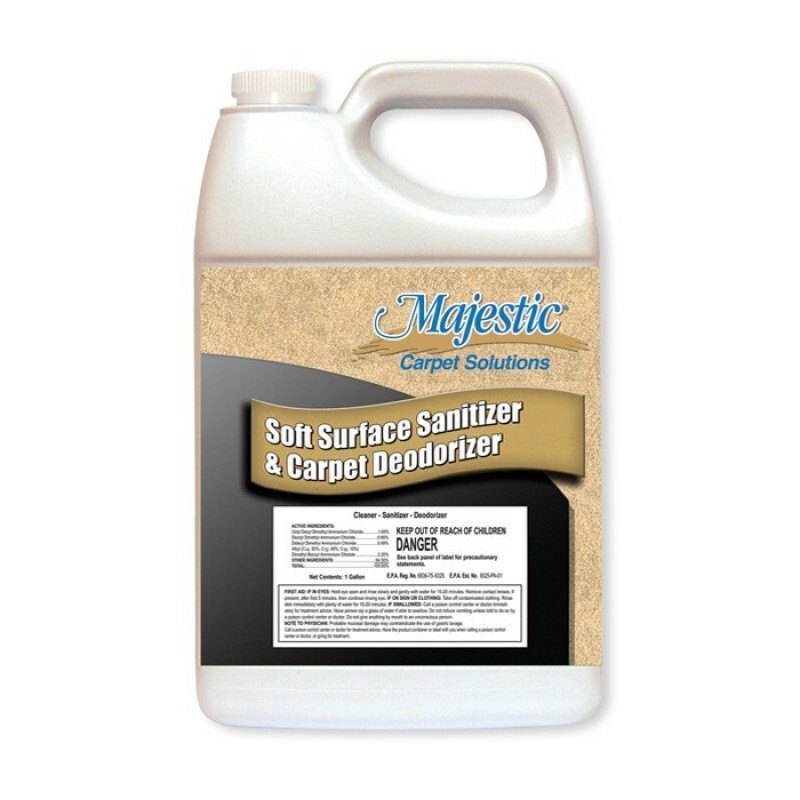 This is a review for the Majestic® Soft Surface Sanitizer & Carpet Deodorizer - 2 Gallons.